Shuck and Jive: Pride Week at ETSU. PSF is Proud. 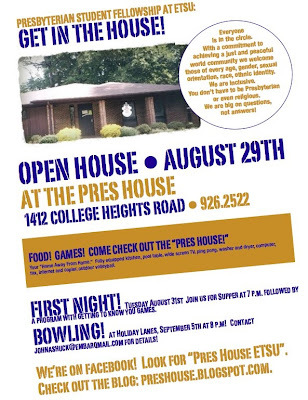 ETSU is starting its Fall semester and I am the volunteer staff for the Presbyterian Student Fellowship. I am enjoying it. We are going to be on campus tomorrow at the "Sidewalk Sale" handing out pens, information cards about our ministry and smiles. We are putting up these fliers around, too. I think we have a unique ministry based on relationship building, open-ended questions, and inclusivity. 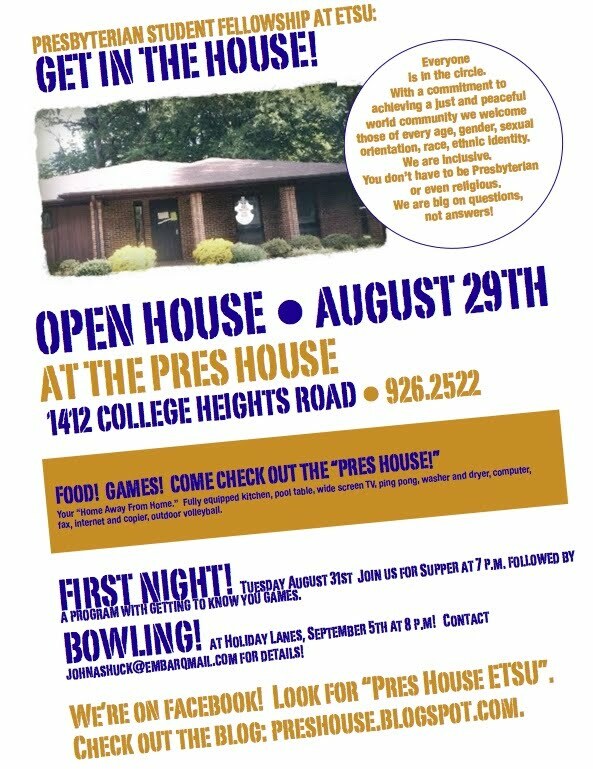 If you know of a student at ETSU who needs a home away from home and a place where everyone knows your name, check out the "Pres House." Here is the news I sent out today with all the details! Click the flier!